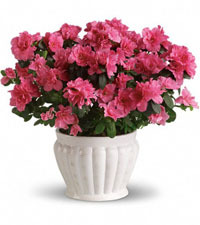 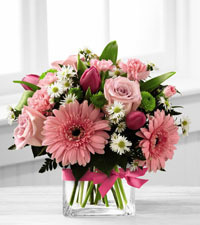 Pink flowers are always a great choice, when it comes to choosing flowers. 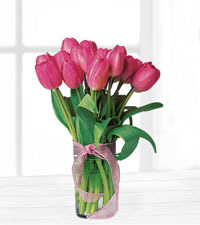 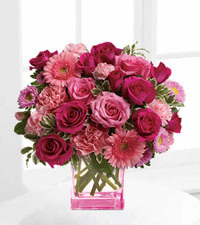 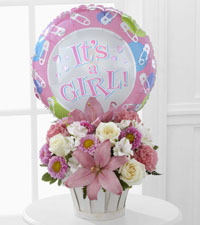 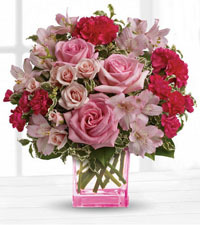 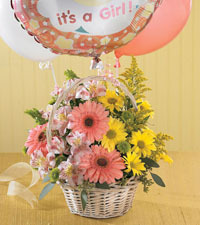 Whether a new baby girl has arrived, or if it's your girl friend's birthday, pink flowers will brighten up any room. 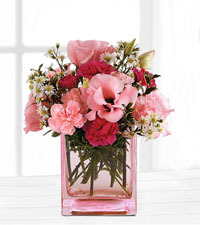 There are so many pinks available in so many different; you'll never run out of pink flower ideas. 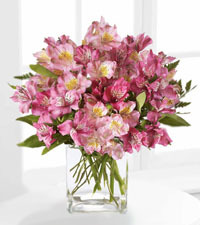 A nice mix of pink roses and Peruvian lilies can be a great way to bring the outside into the home. 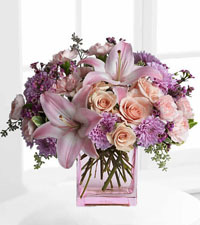 There are light pinks and hot pinks. 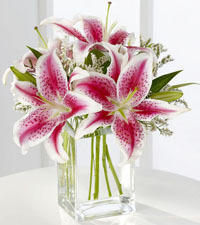 One of the most sought after flowers in this category would be the lovely, Stargazer lily. 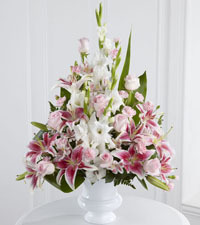 These lilies are bold and some of the most fragrant of all flower types. 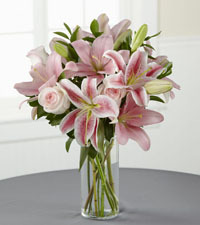 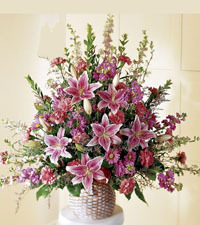 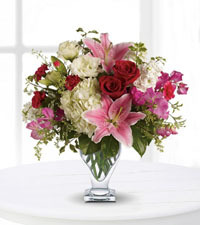 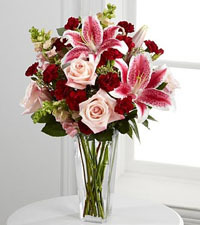 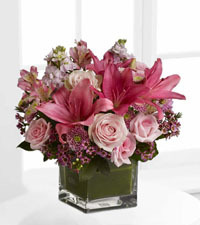 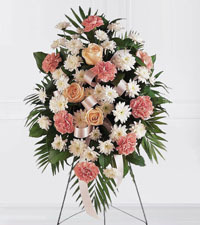 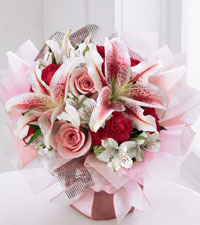 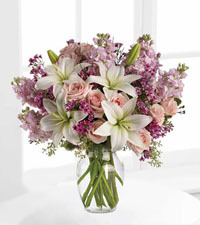 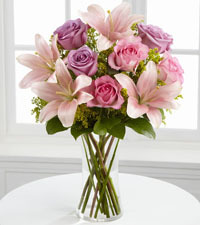 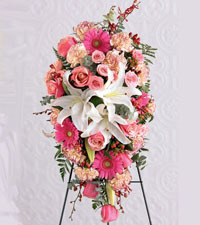 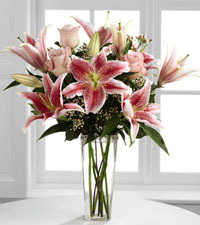 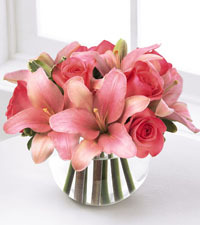 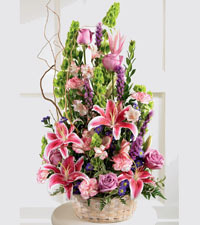 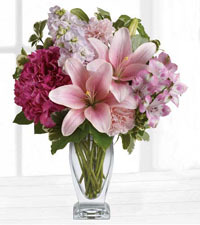 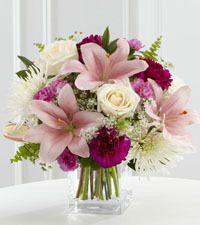 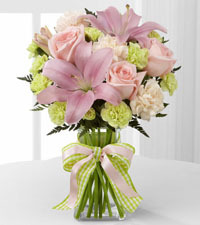 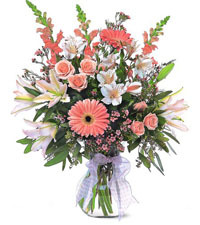 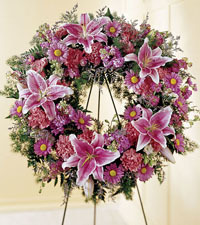 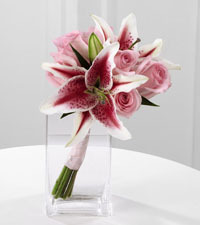 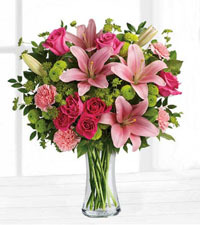 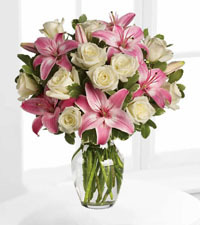 They are often included in many flower designs such as the Pink Lily Bouquet we create here at Canadian Flower Delivery. 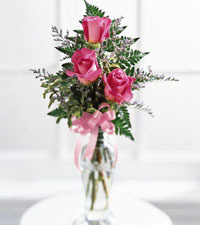 Another very popular pink item is the sultry pink rose. 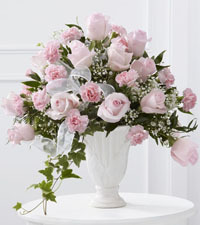 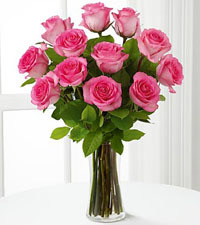 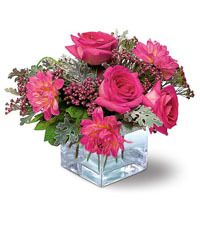 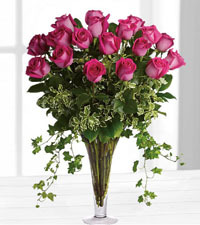 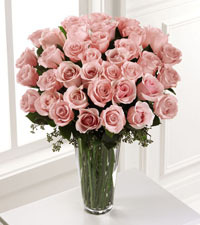 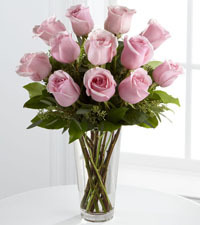 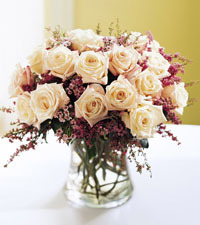 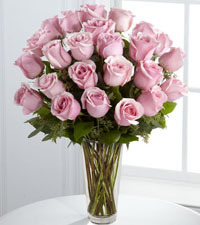 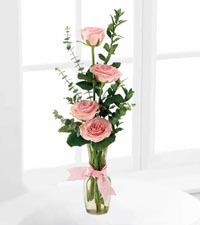 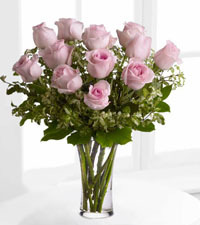 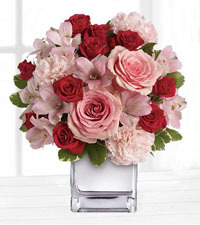 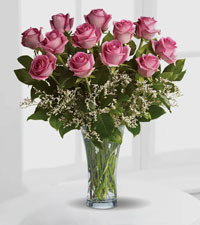 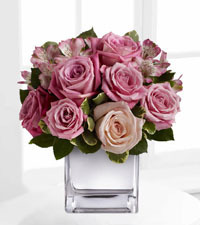 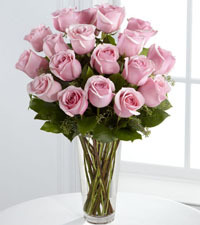 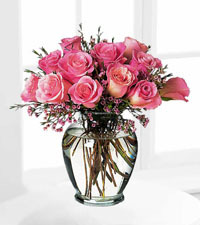 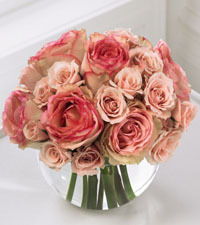 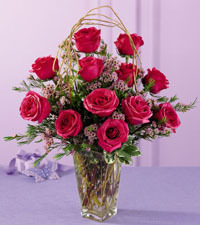 This stem is available in many varieties and tones, pink roses are sure to win over any lovely lady in your life. 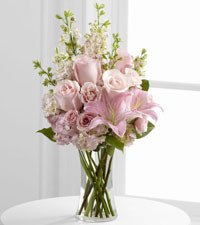 Hot pinks or pastel pale roses are always a delicate and thoughtful choice. 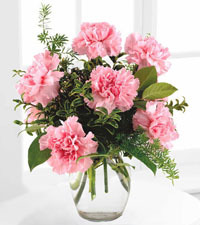 With green as its complimentarycolour, pink flowers will have a stunning look when contrasting stems and foliage accent arrangements. 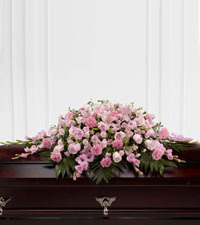 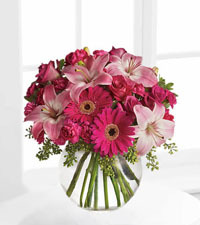 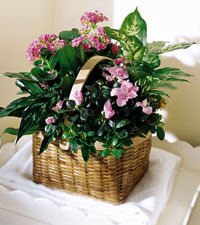 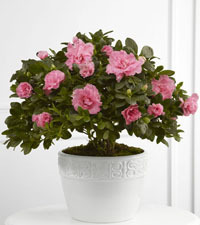 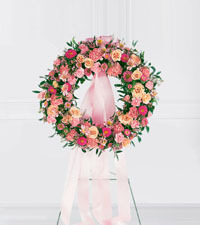 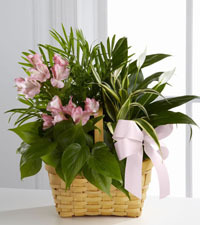 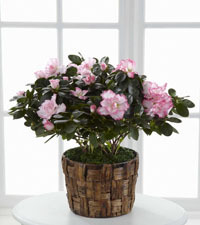 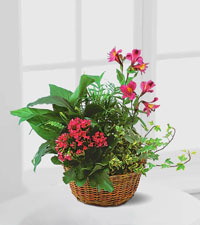 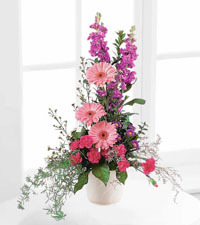 A perfect example of this is the look and feel of Teleflora's Hot Pink with Limes. 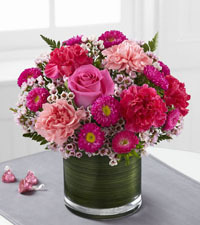 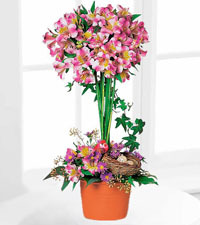 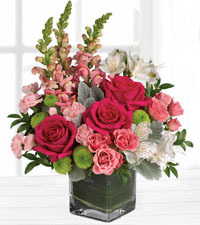 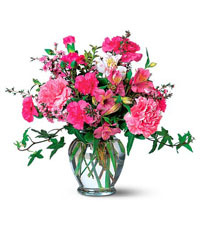 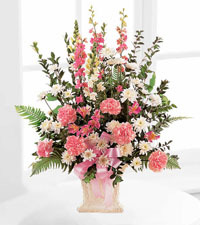 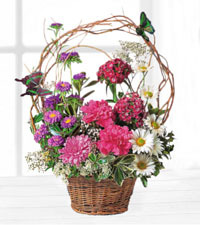 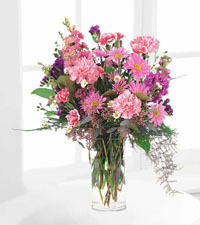 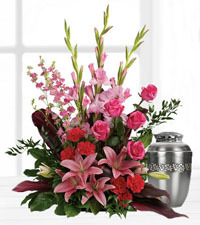 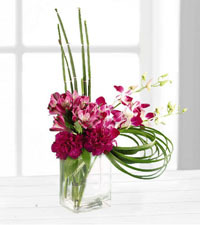 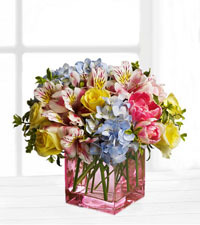 This design features hot pink carnations, roses, alstroemeria and zinnias lined with sliced limes. 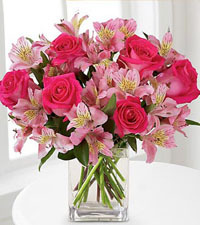 From tight garden rose buds, to soaring pink disbuds or even a gentle alstromeria bloom, Pink is a colour of happiness, grace and elegance. 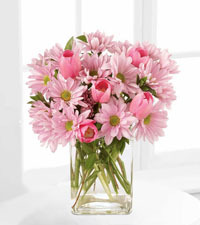 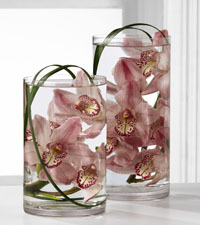 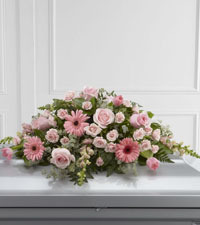 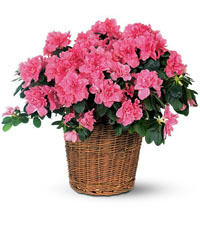 Choosing all pink flowers, with fresh or lime green accents is a great way to accentuate the gorgeous pink blooms. 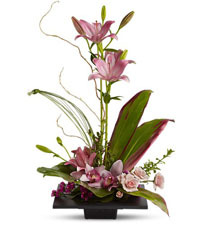 Ask us about our greens and choose something unique to create a completely new and interesting arrangement that is sure to win them over. 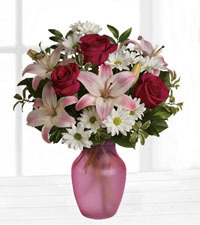 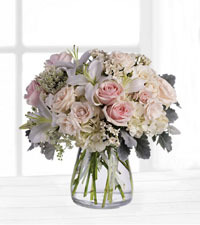 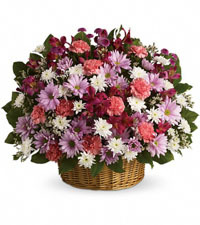 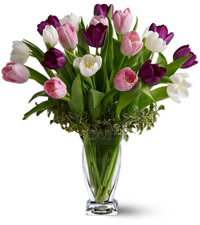 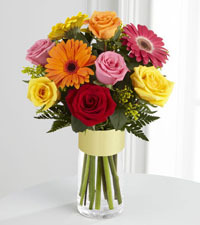 Fresh flowers, with same day delivery, make gift giving easy without compromising taste. 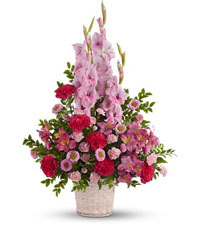 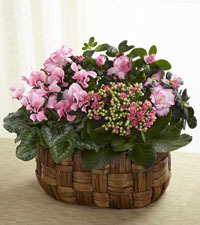 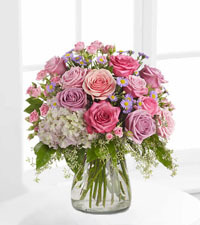 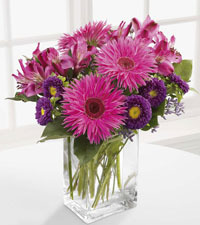 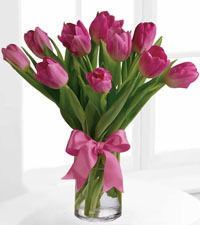 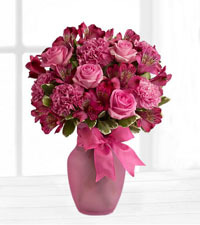 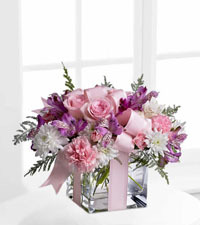 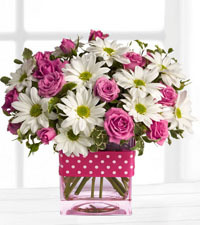 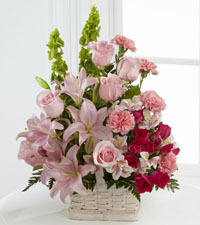 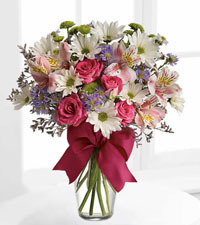 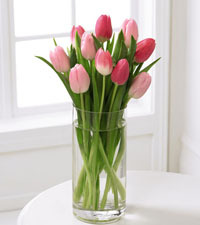 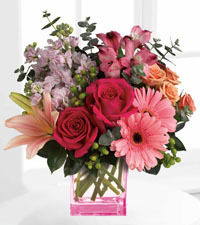 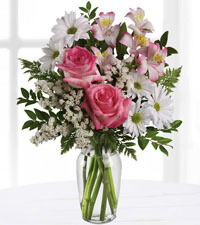 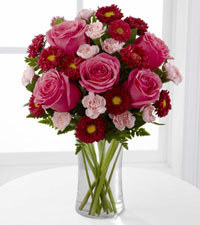 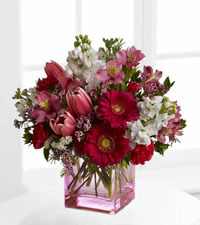 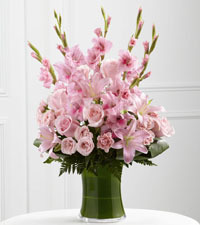 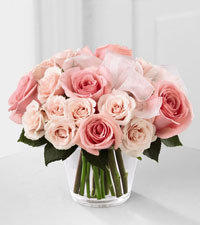 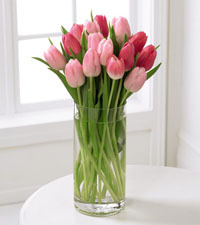 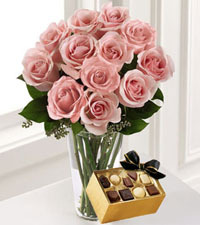 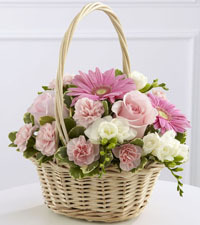 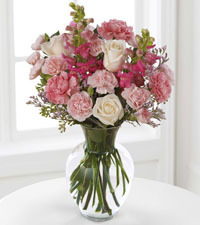 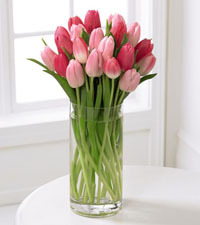 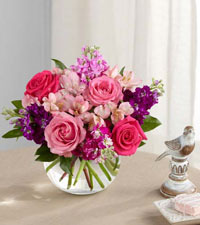 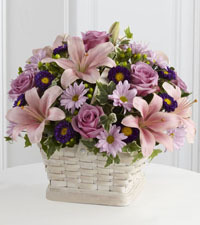 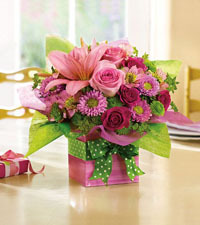 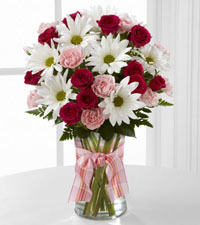 Pink flowers are always a great choice when sending gifts to your loved ones and family members anywhere across Canada.